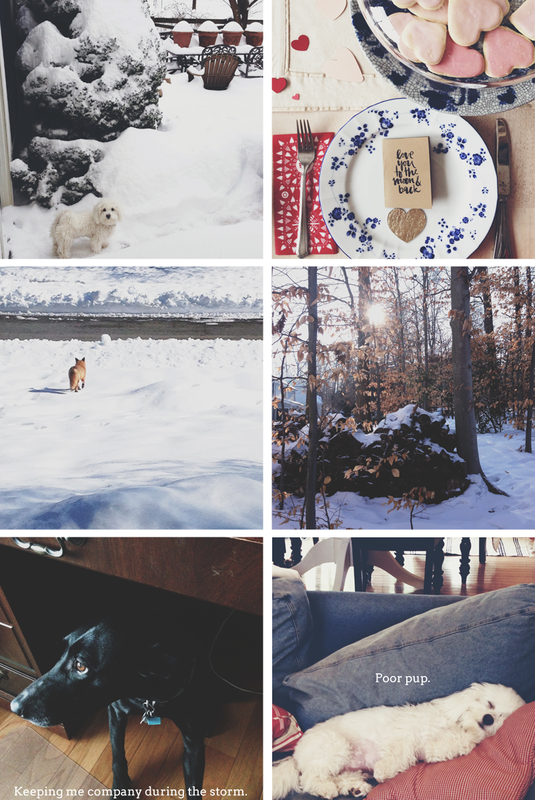 I’m kinda digging this whole every two weeks thing for Starred this Week- there’s more pics to choose from! This last week Brian and I were actually house sitting for some family friends, so it was nice to have a little change of scenery. Still too much snow, though. This weekend has been amazing, I’m so ready for spring to be here for good! We’ve had a very chill weekend- lots of walks, and some viewing of the Olympics yesterday. I woke up feeling seriously under the weather today (and so did Griff, poor guy) so I took that time to catch up on work a little bit. I (knock on wood) haven’t been sick much this winter, so I’m hoping this goes away quickly! How was your weekend? Whitney blogged about a project we worked on together that recently launched! Loved this post on changing dreams. And this post is kind of related. I’ve been a pinning maniac lately, but I’ve especially enjoyed beefing up my home and workspace boards. Introducing my new domain name.